Photo 1: Chadegan lake, Isfahan Province, Iran ( source: Ninara, Flickr). The Zayandehroud Basin covers 41,500km2 in central Iran and includes three main rivers: Zayandehroud River, Pelasjan River and Samandegan River. The Zayandehroud River rises in the bleak and craggy Zagros Mountains, which reach over 4,500m, traverses the foothills in a steep, narrow valley and then bursts forth onto the plains at an altitude of some 1,800m. The river eventually empties into the Gavkhuni Lake, a vast expanse of white salt that forms the bottom end of the basin, although it still lies at an altitude of over 1,200m. In this naturally confined basin, the flows reaching the lake are now much reduced compared with natural conditions, and there are extended periods when no water at all flows in the tail reach of the river. The total length of the river is some 360 km (Table 1) and so the catchment encompasses many different climatic and ecological conditions. It is the central 150km of the floodplain to the east and west of Isfahan that provides the basis for intensive agriculture and large settlements. Along this strip, soils are deep and fertile, predominately silts and clay loams, and slopes are gentle, ideal for the irrigated agriculture built up over many centuries. The river indeed forms an oasis in the desert. The primary source of water in the basin is, thus, the upper catchment of the Zayandehroud (see table 1). Run-off generated in the upper basin is strategically stored in the Chadegan reservoir, constructed just above the point where the Zayandehroud enters the flatter parts of the basin (map 1). From September through to February, inflows only average between 50-75 million cubic metres (MCM) per month (20-30m3/s), reflecting both the dry conditions of the summer and the cold conditions dominated by accumulation of snow in the upper parts of the basin. From March onwards, snowmelt increases and discharges normally peak in April or May, with average flows of 125-150m3/s. In June and July, the discharge slowly declines to low-flow conditions. The peak flows from April to June provide the basis for widespread downstream irrigation using simple diversion structures. Table 1: Characteristics of the Zayandehrud basin. Water use around Isfahan is as old as the city itself, with records of water management dating back to the 3rd century BC. Riparian rights in the 16th century are described in detail in a tumar (edict), which is attributed to Sheikh Bahai, one of the scientists of that time. 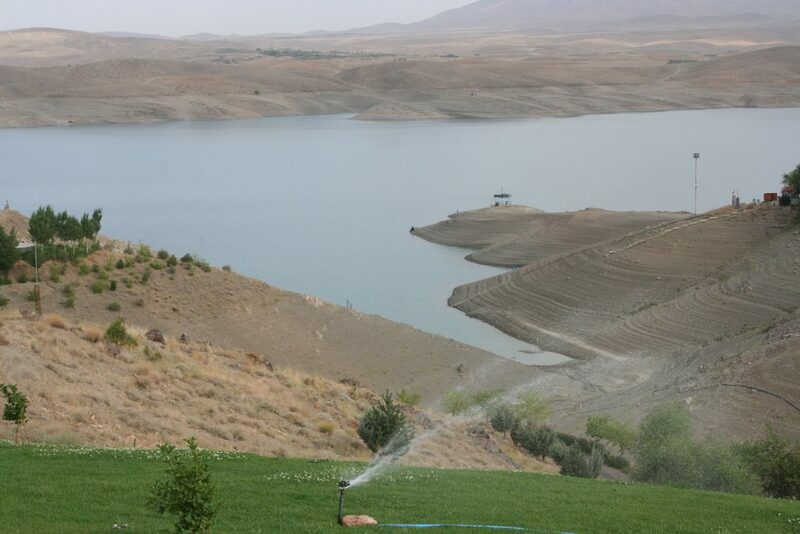 The tumar specifies the amount of water apportioned each month to each boluk (district) and village. In other words, Sheikh Bahai mathematically designed a just water distribution system in this region. His system was used for a long time and everybody was very satisfied with it. The Khaju, Siosepol and almost all the other Safavid bridges in Isfahan were built to function as both crossings and dams to regulate the water flow in the river. Today, they span an often waterless river. Since they were designed to be submerged, the lack of water may damage their foundations. 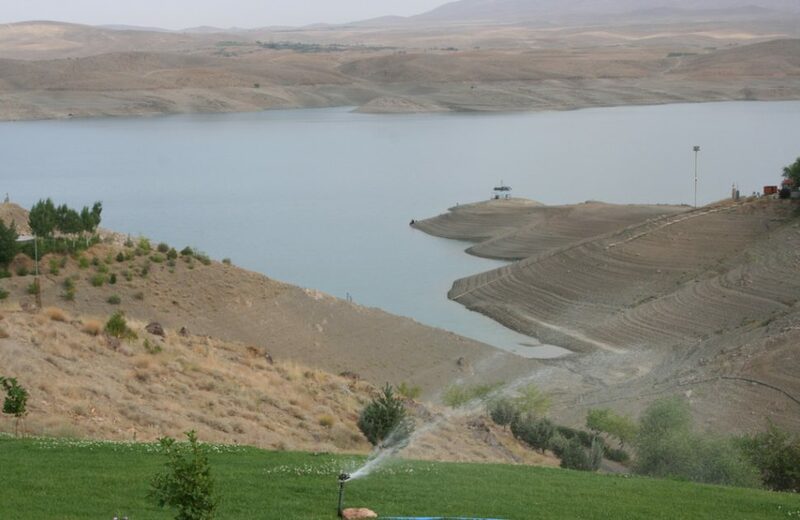 Until a few decades ago, the groundwaters of the Zayandehroud basin were sustainably managed through qanats (an ancient water-supply system that taps underground mountain water and channels it downhill). However, since the introduction of tube wells in the 1970s, the qanats system has been abandoned and overexploitation of groundwater in the basin has increased significantly. Safavi, H.R., Golmohammadi, M.H., Sandoval-Solis, S. (2015). 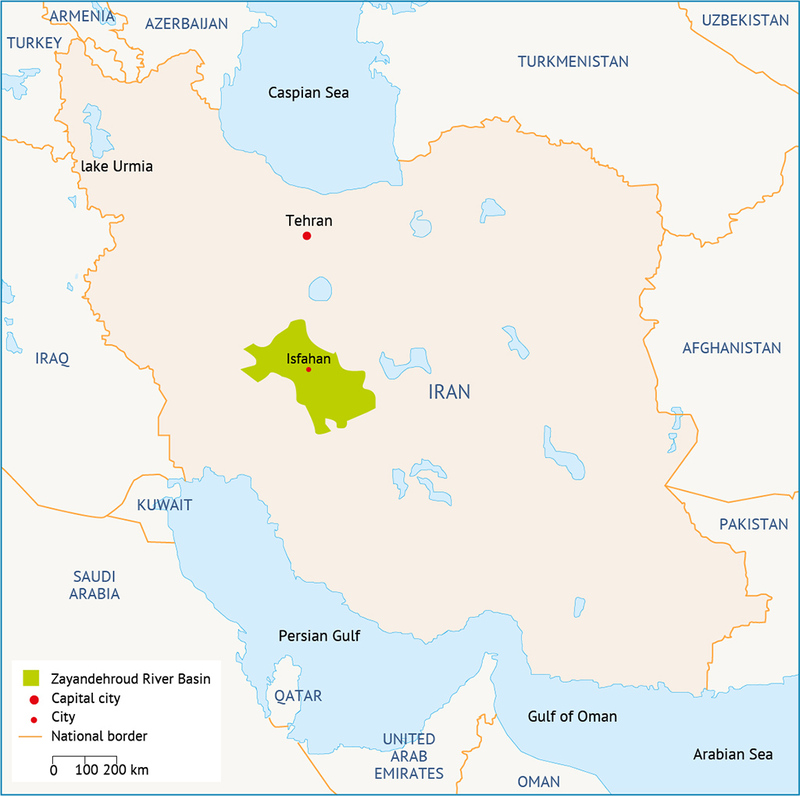 Expert knowledge based modeling for integrated water resources planning and management in the Zayandehrud River Basin. Journal of Hydrology, 528, 773-789.